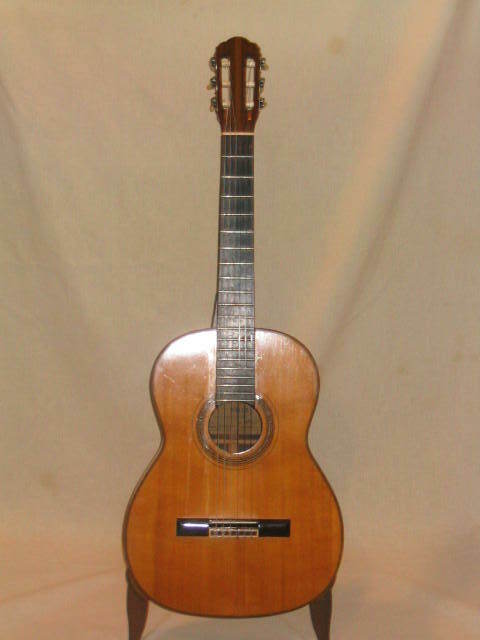 This instrument was owned by the late George Yeatman, a long-time Washington, DC area guitarist. Some of his charming music can be found in Aaron Shearers first method series. 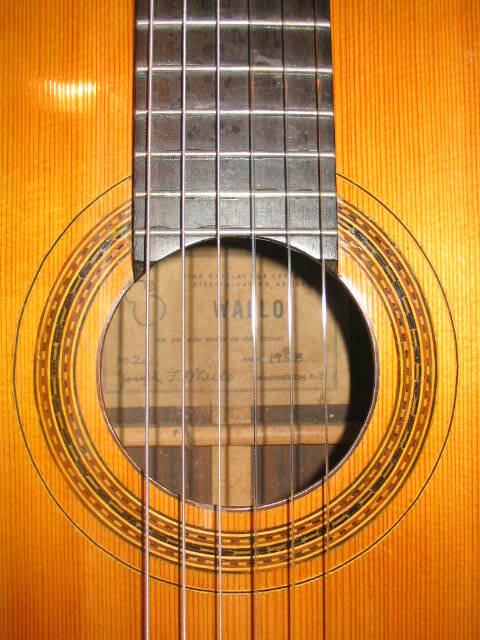 Joseph F. Wallo built this guitar in Washington, DC. 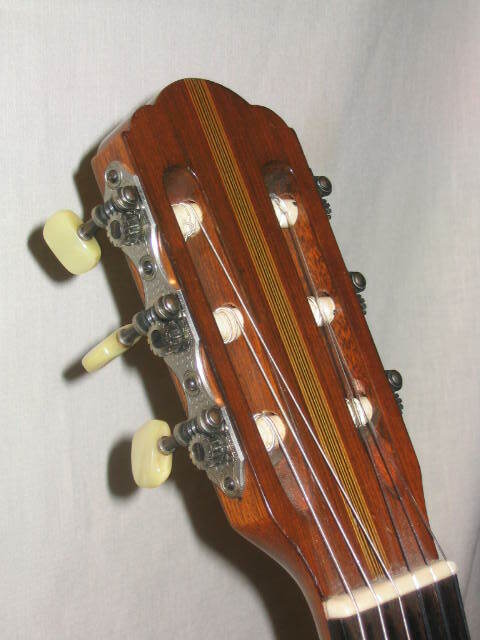 Spruce soundboard, rosewood back and sides, mahogany neck, ebony fingerboard, lacquer finish, 643 mm. scale, 52 mm. nut. This instrument has a lovely sound with a good bass timbre, round musical trebles and fine balance. It is not the powerhouse that many new instruments are today, however the projection is fine and the refined tonal qualities make it a joy to play. Numerous signs of use, nothing major, two hairline cracks in the back, and three in the top, all of which are closed. Currently the guitar is strung up to tension and plays easily.